The problem with trying to explain to other people what it’s like to be part of a farming family is that there are so many typed of farming that I could tell you about a year in our life but it would be totally different to say an arable or a dairy farmer. Much like no two days are alike for any farmer, no two farmers are the same either. Not only that but even if you got two sheep farmers, the chances of their way of life and farming being similar is very unlikely as they may have different breeds, be in different parts of the country or just do things differently. Rather than be in the dark about the different types of farming out there though, in 2014, agricultural expert. 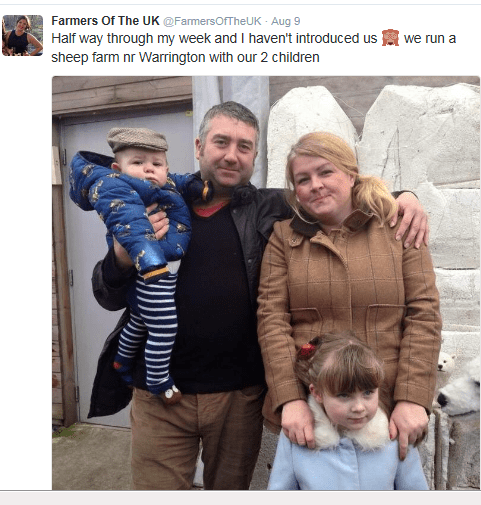 Simon Hanley who is a Rural Business Advisor, set up Farmers of the UK, a website and Twitter account to showcase the amazing world of agriculture and rural life, here in Great Britain. It is such a brilliant idea. Each week a different farmer or rural business takes over the Twitter account and tweets about their life and what they do. It exists to showcase the diversity of the British rural industry across the food, farming and countryside sectors. Last week was Co-Operative Food and Farming. This week it is Young Farmer’s. My week took place in August when I thought we would be knee-deep in hay making. Unfortunately, the weather had other ideas but I like to think I gave some kind of insight into our life and, in particular, what I do. I had a great week. Highlighting issues which are especially close to my heart like dog attacks on sheep. Due to the nature of the project, each week sees other issues brought to the fore of a masive social media following. I’ve seen tweets on TB testing of cattle, campaigns to support British food as well as highlighting agricultural businesses and organisations-like this week with the National Federation of Young Farmers Clubs. The majority of the public are interested in what farmers do and, as social media is such a powerful tool in reaching out to even more people, Farmers of the UK is perfect. For some people who farm in remote areas, this may be the only way of showcasing their life and #aweekinyourwellies. 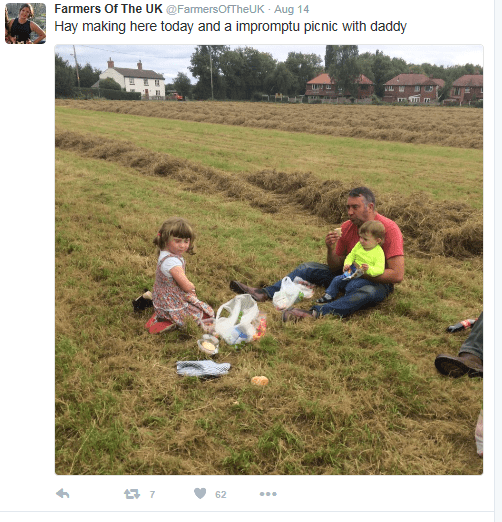 Farmers of the UK really is worth a follow. You never know, you might learn something yourself. I certainly have. Ooo I will have to check it out!